Felix Solis Avantis invited more than 170 people, all of them professionals from the on-trade and press in the family´s hometown of Valdepenas. The purpose of the event was to present the new range of wines “Casa Albali” with a wonderful dinner of 6 dishes for the 6 wines of the range Casa Albali. This year Felix Solis Avantis has launched a new brand especially designed for the on-trade. Casa Albali reflects the origin of the family Solis (making wines in their house – “casa” in Spanish) and also the tradition of a family devoted to wines. Casa Albali also aims to reach the new trends and the new consumers in the market. Under the appellation Valdepenas, Casa Albali young wines are modern with local and other French grape varieties and the oaked wines are made of selected grapes and under the highest quality standards. 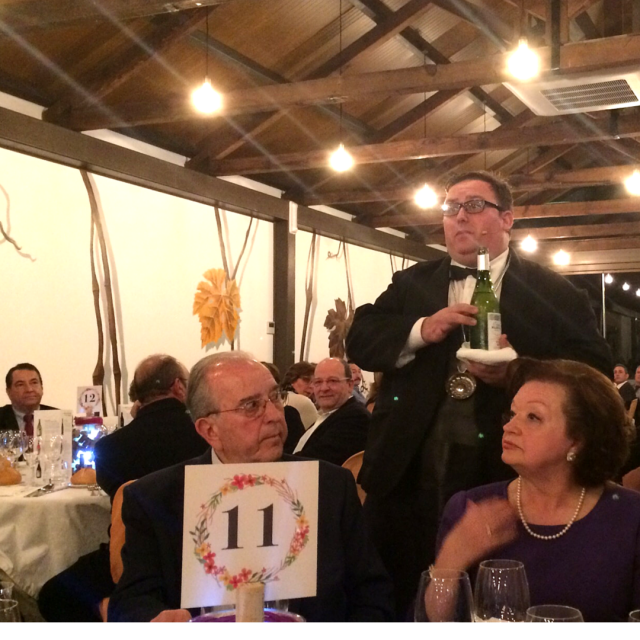 The presentation of Casa Albali took place on December 1st in La Aguzadera restaurant in Valdepenas. The activity was a special dinner with 6 courses and a dessert. Felix Solis Avantis Technical Manager, Mr. Antolin Gonzalez, explained the wines. Adan Israel, sommelier from the restaurant El Granero, explained the pairings with the proposed menu, which was deliciously made by the expertise of La Aguzadera professionals. This was the menu: mousse of foie with mango with Casa Albali white, white asparagus with Casa Albali rosé, courgette soup with Iberico ham powder with Casa Albali tempranillo- shiraz, spiced meat (“mollejas”) with potato cream with Casa Albali Gran Seleccion, cod in tomato and olive oil dressing with Casa Albali Crianza, roasted beef in truffle sauce with Casa Albali Gran Reserva de Familia; and finally, as dessert, apple cake with berries ice cream with the new Frissé rosé. During the event, the Solis family honoured Mr. Fernando Rodriguez Rias, owner from the old restaurant “Los Corales”, who devoted more than 50 years to the on trade business. Mr. Felix Solis Yanez, president and CEO of Felix Solis Avantis, handed Fernando a special gift for his experience. This was a very nice moment of the event, when Fernando thanked and shared the “award” with the rest of the on trade people. After the formal moment, there was a time to laugh with the monologue of Juanjo Albinana, who pleased the public with wise local jokes. In Felix Solis- Yanez´s words, “we needed to organize an event like this, especially made for our on-trade clients in Valdepenas. That´s why we wanted to make the first presentation of Casa Albali in our hometown, where the family has grown”.